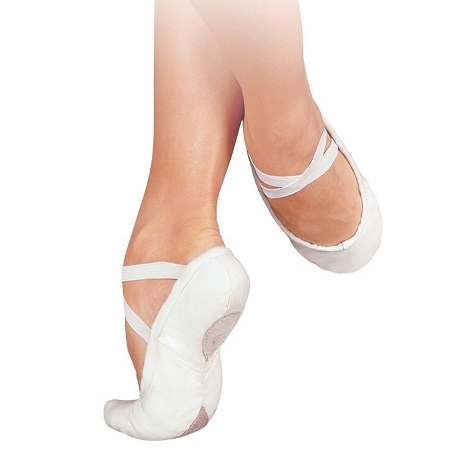 Sansha's "Pro 1" original canvas split-sole ballet slipper. The sole is fully hand stitched and thread does not appear on the outside of the shoe, so it will not wear out. This also means the sole is flush with the upper, so there is nothing to catch on the floor. Perfect for men and women! Criss-Cross Elastics Included.